Learning a new language is a process that takes hard work and dedication in order to master. Taking three years of Spanish in high school may have given you a knowledge of basic terms, yet the lack of dedication to speaking the new language has created lapses in memory and struggles with areas such as cognitives and syntax. 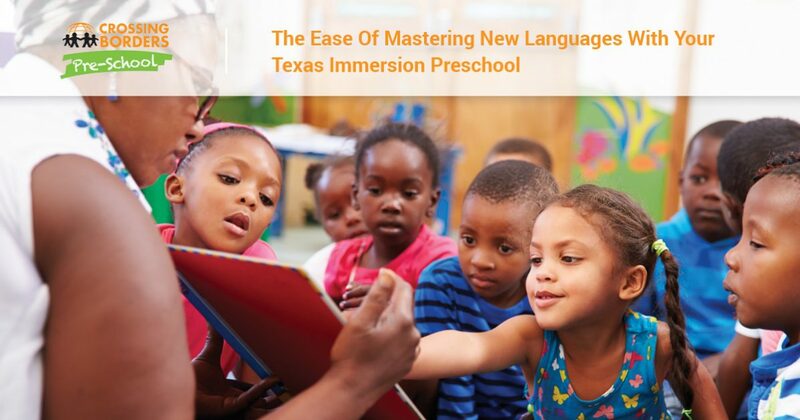 If you are looking for a day care center for your little one that is also one of the Top Rated Local® language immersion preschools in Texas, our program may be the perfect answer! Crossing Borders Preschool is proud to provide the best language immersions in Houston to children ages 18 months to 5 years. For decades, our child development center has refined its curriculum to provide a fun, engaging education that helps to get your little one excited about learning. While mastering a second language is not an easy process, laying the groundwork for multilingual proficiencies that can be beneficial for life. 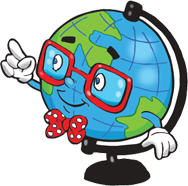 Today, we’ll highlight a few languages that we offer that are both similar and different from the English language. When we are done, be sure to get a hold of our bilingual preschool to learn more! For many English speakers, it can be challenging to learn a new language due to the structure and conjugation of different styles. Learning a new language that is similar in syntax and sound can help to make the process easier. Spanish, for example, is the fourth most spoken language in the world, with the United States now taking second place as the largest Spanish-speaking country. But why is this language so easy for you to learn? For one, Spanish relies on the same alphabet minus a few letters, making language pronunciation and literacy much easier to comprehend. Spanish is different in terms of word formation (morphology) and pronunciation (phonology), but the rest of the structure is essentially the same. Spanish-speaking individuals in Texas have a lot of opportunities to practice and hone their multilingual skills, and our immersion preschool can help! 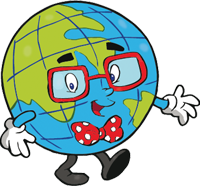 French is also a language that many English-speakers learn with ease compared to other spoken languages. Despite a few challenges (silent letters, accents, and gendered nouns), the French language is very similar to English, and experts often point to history as the cause. The long-standing conflict between the English and the Normans created a language that draws from both sources. Experts often claim that up to a third of modern English is derived from French-influenced sources. With a very similar lexicon and a large number of shared phrases, your little one may excel in learning French with our childhood development center. The Foreign Service Institute (FSI) developed a ranking system with three categories to place each language into, and languages such as Mandarin and Arabic fall into Category 5, which is the hardest category for English-speakers to learn. From a foreign writing system to an entire lack of conjugation for tenses, these languages require much more attention and focus to master. The FSI claims that it will take about 64 weeks of instruction to master languages such as Korean and Japanese, which roughly equates to 2,000 hours of class time plus a year of study in the country that speaks the language. Despite these challenges, our fluent teachers excel at Arabic and Mandarin Chinese, and they can guide your little one through fun and engaging activities that help to break the most intimidating aspects of learning a new language into much more manageable sections. Crossing Borders Preschool is proud to provide the best language immersion programs in Houston, delivering quality language learning in addition to the standard curriculum for young learners. Contact us today to learn more about our immersion preschool!